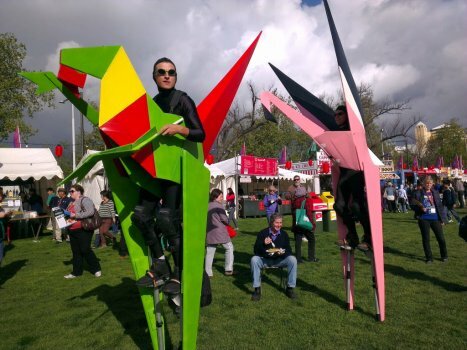 Origami Creatures - designs for Australian stilt walkers ""
Beautifully sculptured and Adelaide based, Japanese Origami designs for Australian stilt walkers. 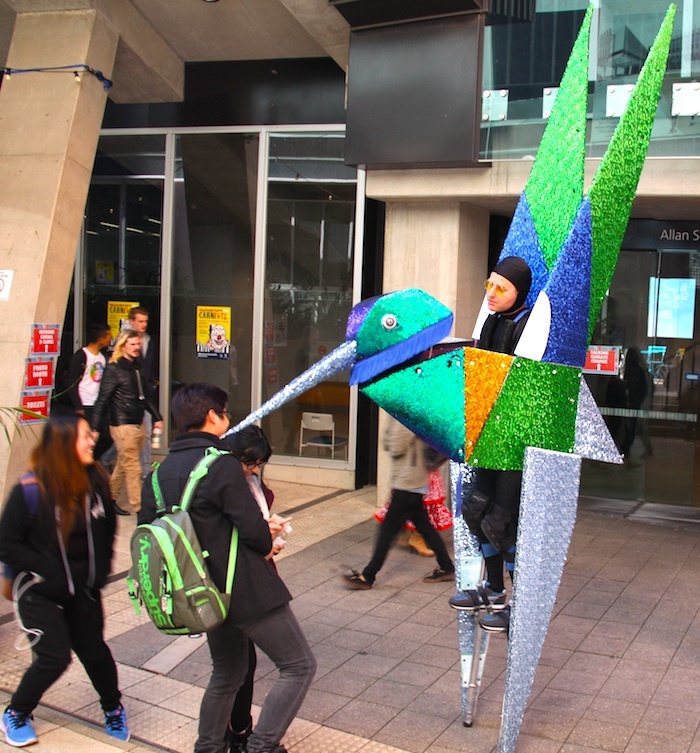 A sparkling Humming bird is NEW to the range plus we have a dinosaur, a flamingo and an amazing pterydactyl with a 3 metre wing span! 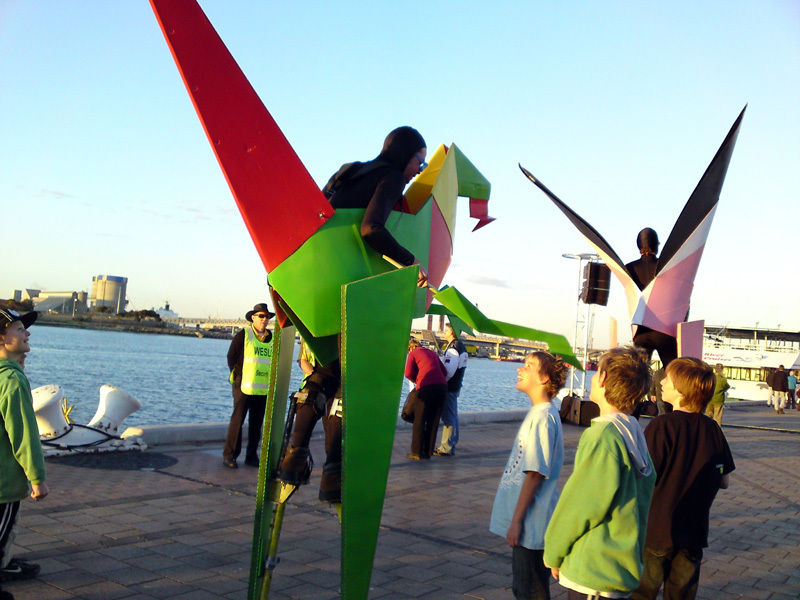 Transportable and able to tour to Australian events or overseas. 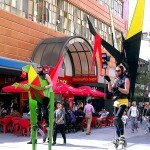 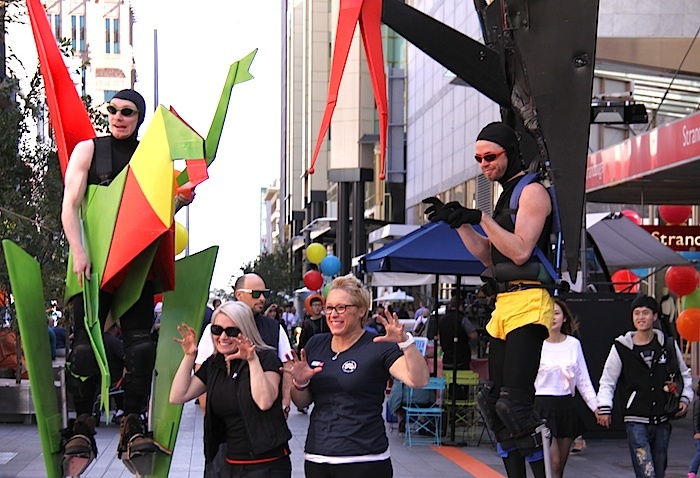 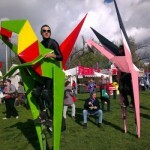 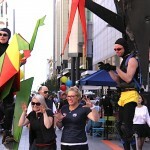 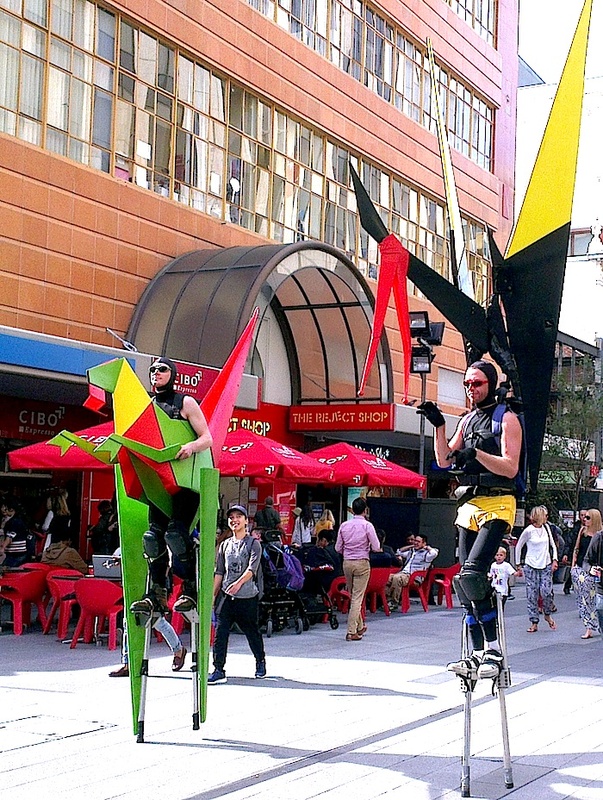 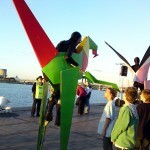 The Origami Creatures offer unique roving performances by some of Adelaide’s best circus & street performers. 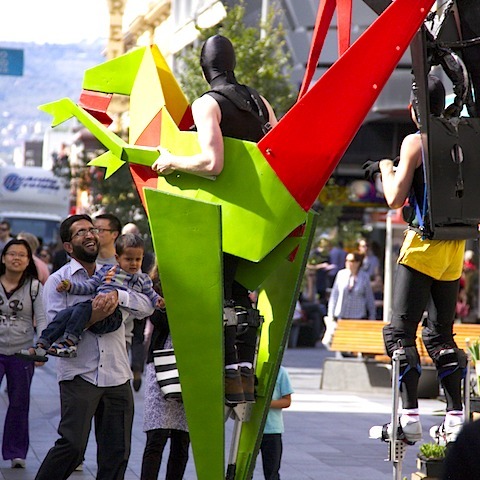 The Origamis combine physical skill on stilts with stunning visual creativity, inspired by the craft of Origami in Japan. 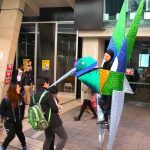 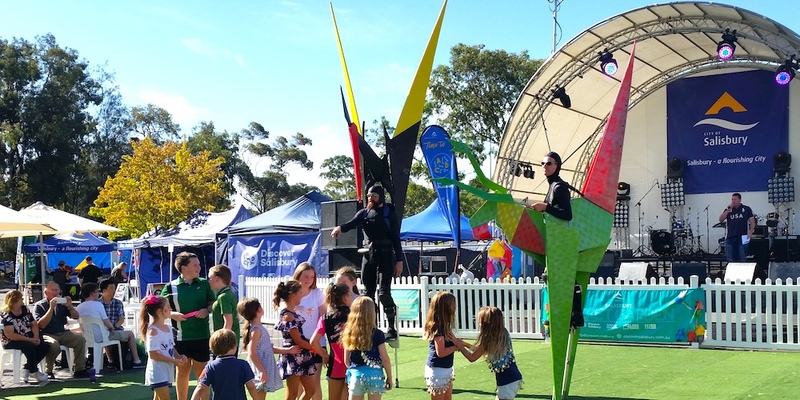 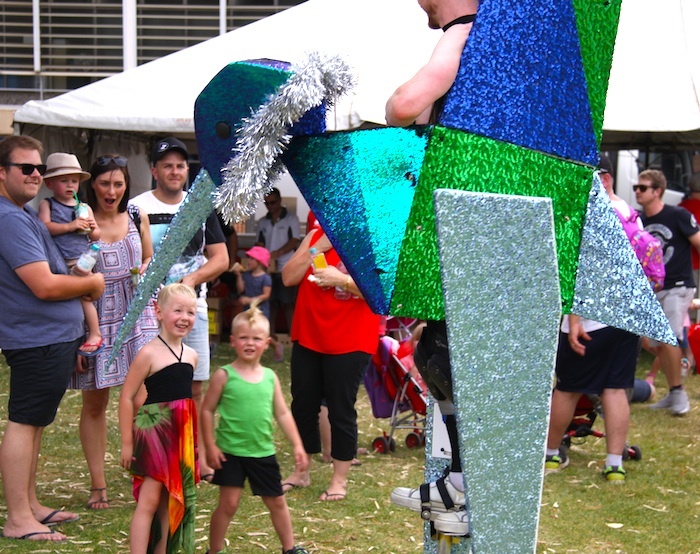 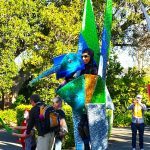 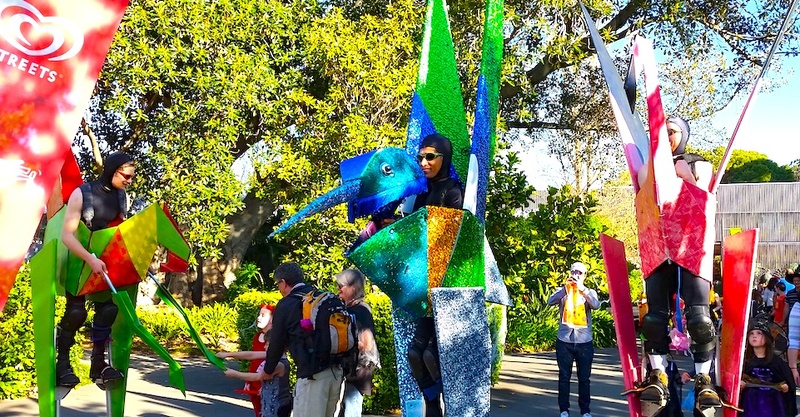 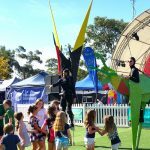 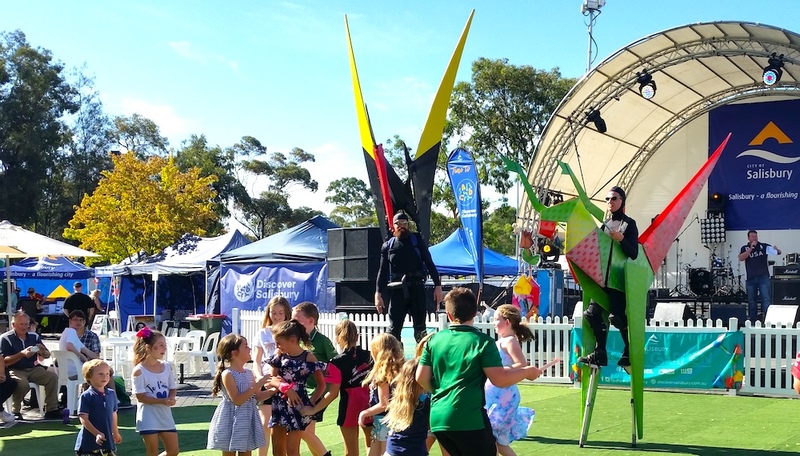 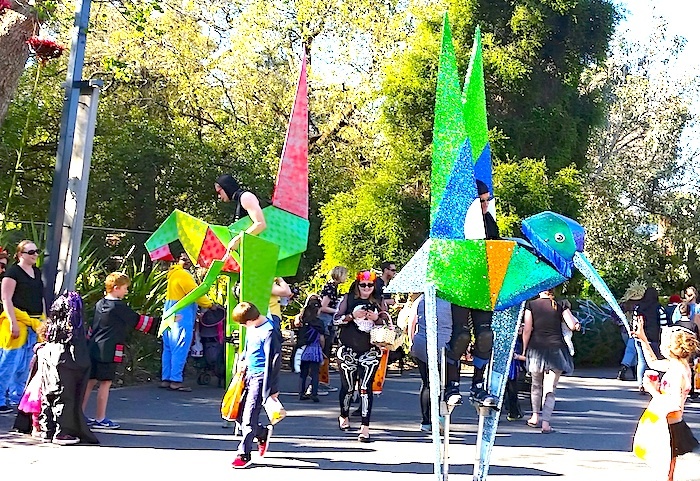 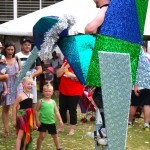 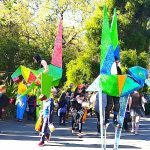 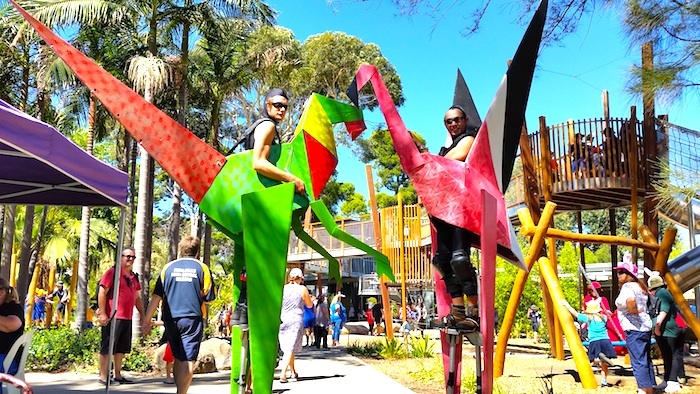 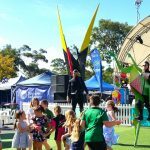 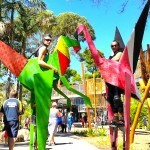 Here is video of the Origami Stilt Creatures, at a festival south of Adelaide, along with excerpts from OZ Asia Moon Lantern Festival.